Sendit Media has the ability to reach a magnitude of highly targeted consumers and business professionals for your company. 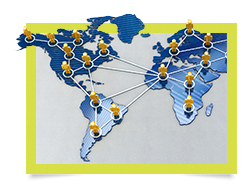 We access over 100 Million permission based consumers and over 12 million business addresses. Our data intelligence can help you refine your target market by over 80 attributes. Email is the most cost effective channel of marketing to deliver your message to a target audience. 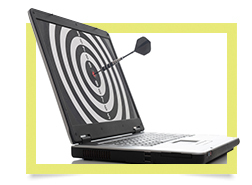 Targeted email campaigns are the key to successful online results. Our lists are enhanced with all of the key demographics and lifestyle selects to get your offer to the most responsive consumers. By targeting those consumers that are most likely to buy your product or service, Sendit Media ’s lists can deliver the highest return-on-investment of any form of direct marketing. Sendit Media only delivers to our truly permission based email addresses. We are 100% compliant with the CAN-SPAM Act of 2003, which helps us to not only maintain a white listed status with the ISP’s, but also gives our clients’ piece of mind that they are in good hands with Sendit Media . There are three crucial steps in every successful email campaign. At Sendit Media , we create, deliver, and track custom campaigns for small niche companies to Multi-Million dollar organizations. Sendit Media can help develop a unique advertisement that consumers will be attracted to and enticed to click on, sending them directly to your website. This is called the creative. Sendit Media employs some of the top graphic artists in the industry for your creative development. The creative that is sent is what determines a successful click through rate. With a strong creative, your offer will attract more qualified traffic. Any company can claim to send emails out, however if they are not DELIVERED, this does you no good. Sendit Media employs IT professionals and maintains close partnerships in order to maintain a white listed status with almost all of the major Internet Service Providers throughout the United States. What does this mean? It means our email gets DELIVERED. Deliverability is crucial to a successful email campaign. 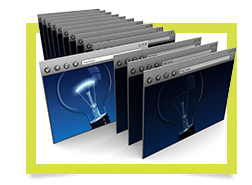 Emails campaigns are closely monitored to ensure the greatest results. We provide a full tracking report on all email campaigns after the mail has been delivered. Sendit Media , offers some of the most extensive tracking capabilities in the industry. Tracking will help to determine the exact response of your audience. It will let us know how many people opened your email and how many people were delivered to your website. This will also help us to determine if any adjustments need to be made in future campaigns to better your results. Tracking is not just looked at when a campaign is complete. Our fulfillment team closely monitors your campaign’s statistics to make sure all aspects of the campaign are running smoothly.